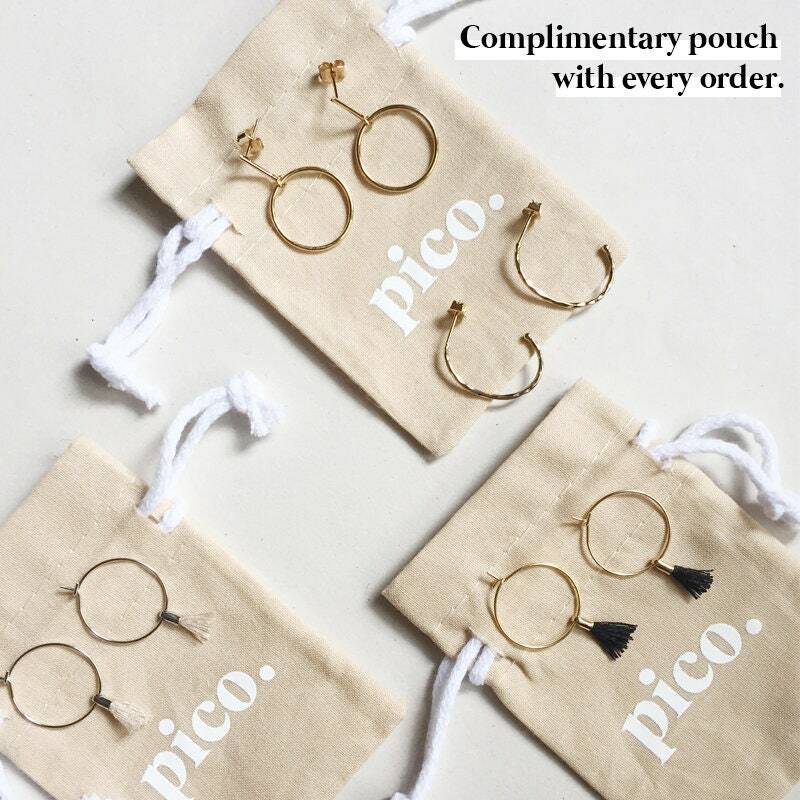 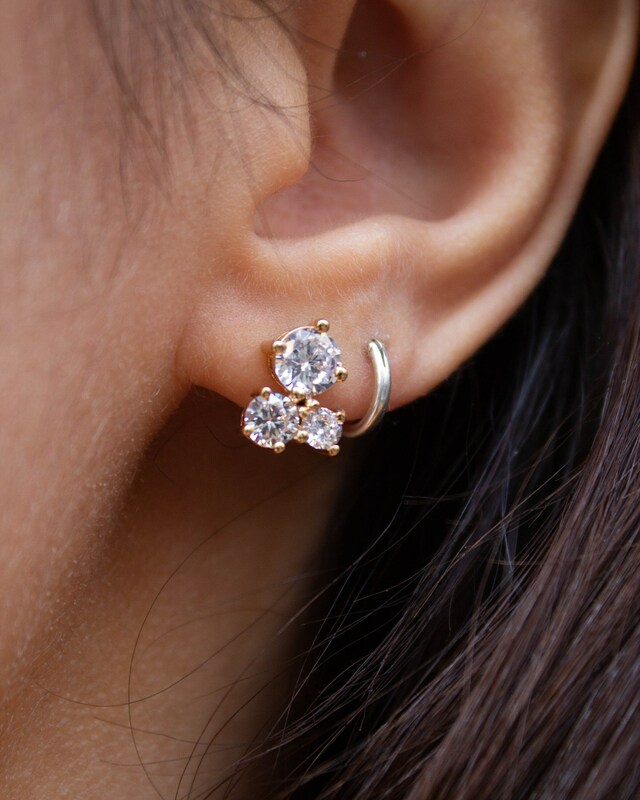 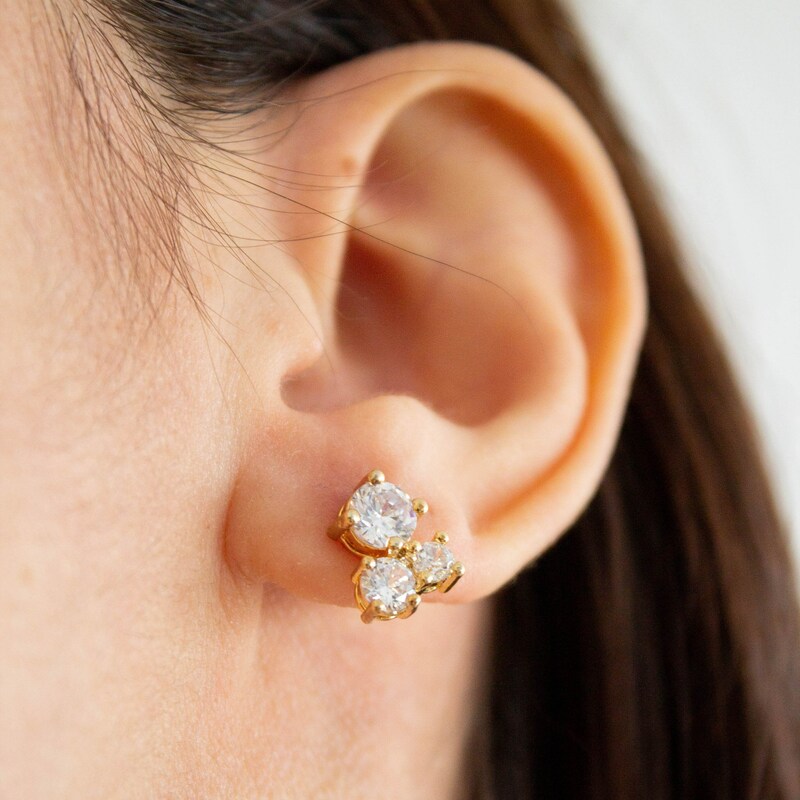 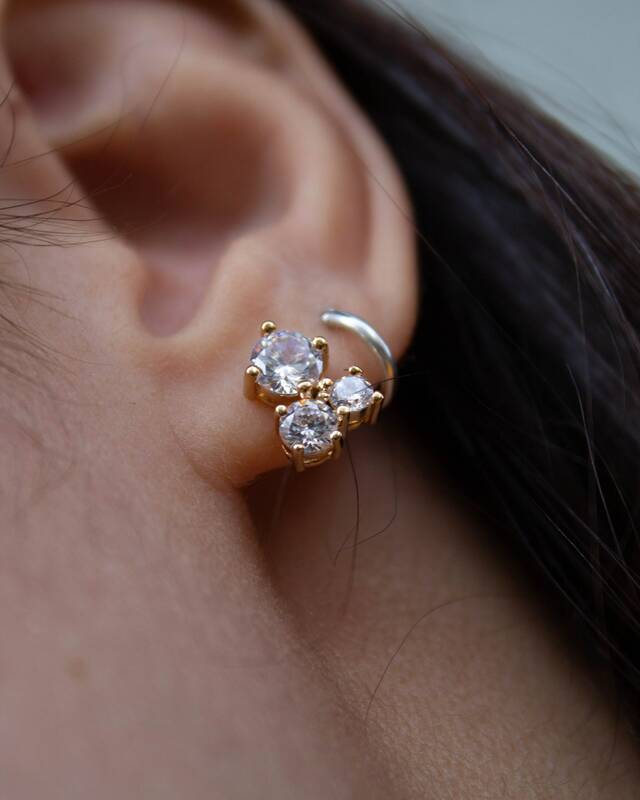 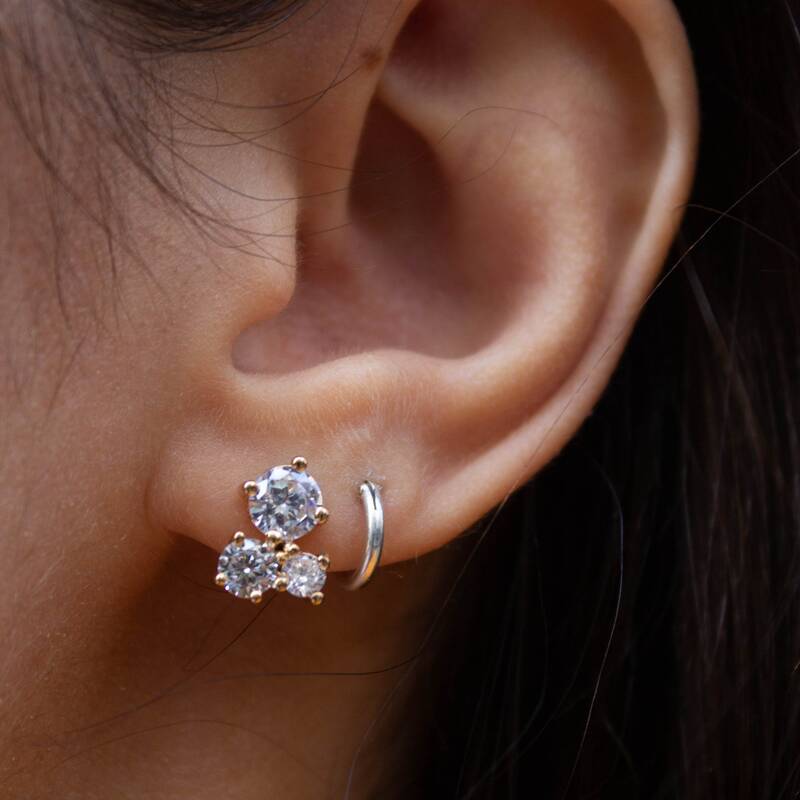 Simple yet memorable, a minimal sparkle to adorn your earlobes with. 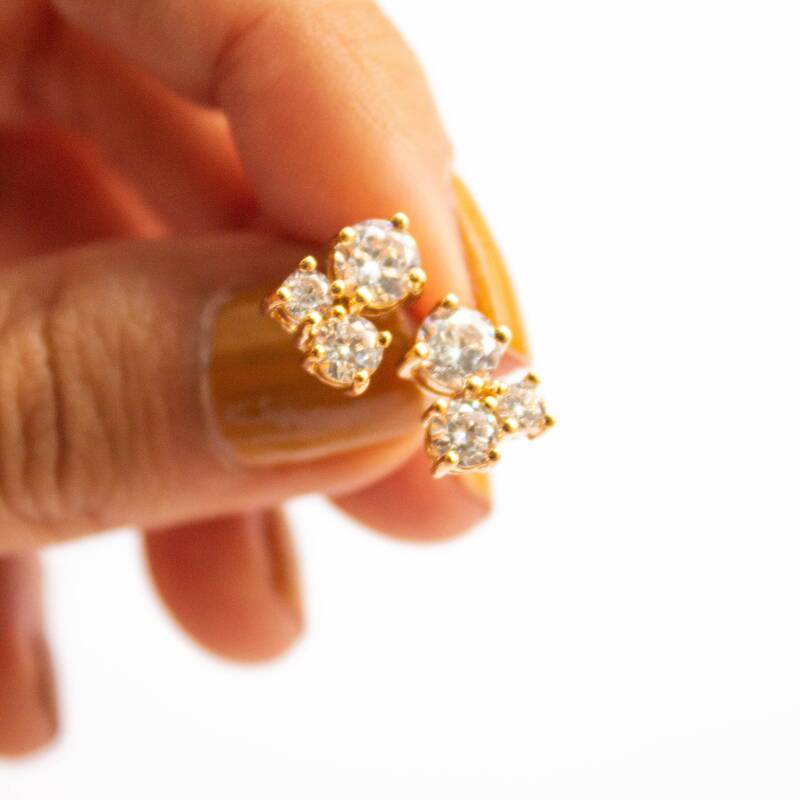 The posts are 16ct gold plated over brass. 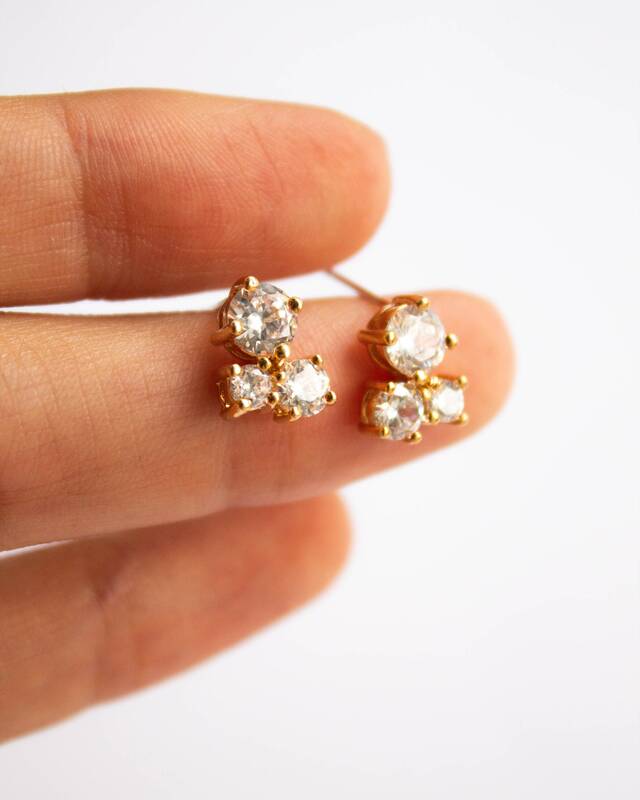 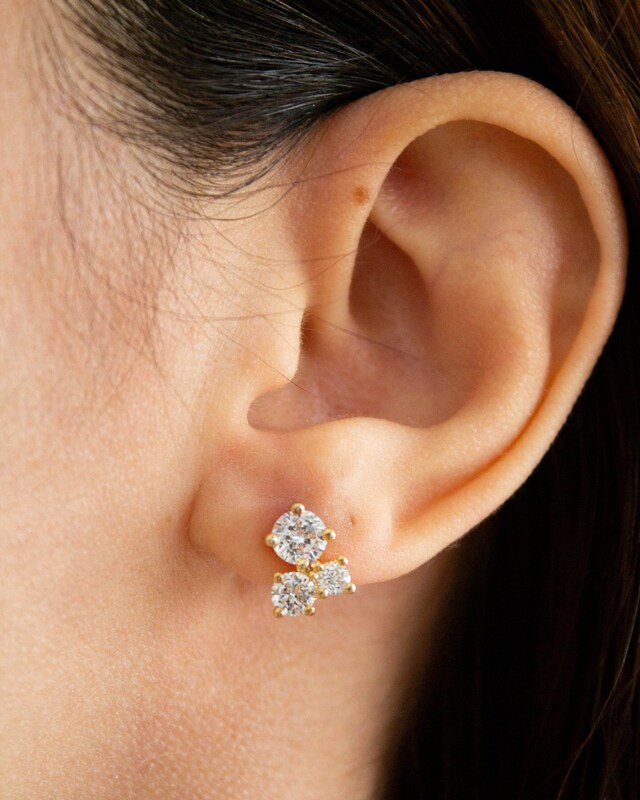 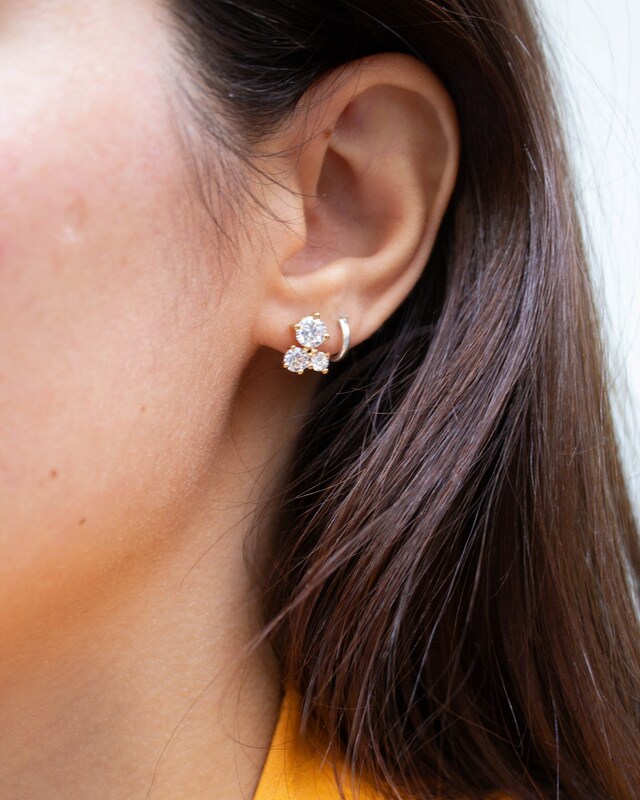 The earrings feature CZ diamonds.